“Unlike urban residents, who usually get their drinking water from private or state-owned enterprises, neighborhoods on the edge of cities and in rural towns have created their own water delivery systems,” explained Dr. Francisco Alpízar, Director of the Economics and Environment for Development Program at CATIE, which is based in Costa Rica. These are called Community-Based Drinking Water Organizations (CBDWOs). EfD is helping them prepare for extreme weather events that are expected to become more common with rising global temperature. “CBDWOs are local institutions created by neighborhood-based groups,” explained Dr. Roger Madrigal, one of the lead researchers on this project. There are about 24,000 of these groups in Central America. 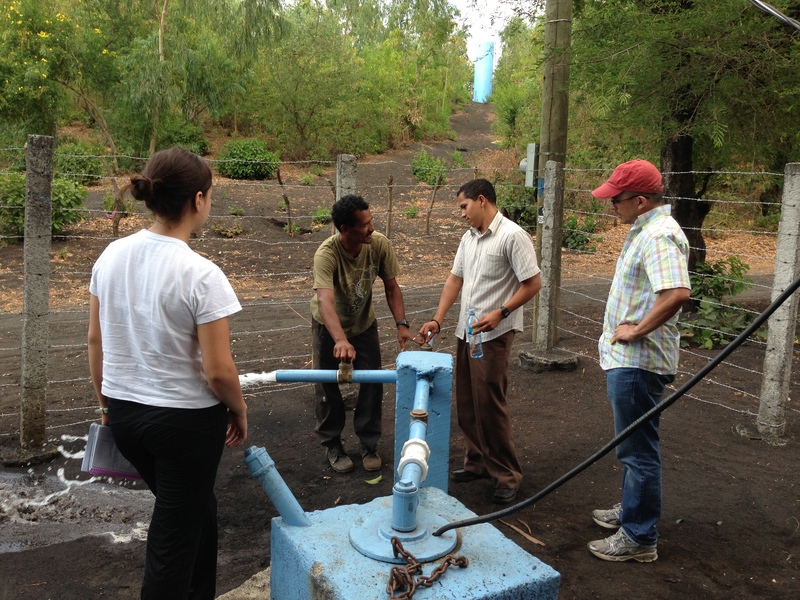 In Costa Rica, for example, they provide drinking water to around 60% of the population in rural areas. Global interest in this research is reflected in international participation: a Canadian research center is funding the work, and the president of the Latin American Confederation of CBDWOs participated in a 2013 workshop in Panama, “Climate Adaptation in the Water Sector: How Can Research Best Meet the Needs of Decision Makers?” The workshop brought together experts from Latin America and the Caribbean to talk about practical problems such as wastewater treatment and re-use; using water to produce electricity; and disaster response in case of floods. More information about the workshop is available at http://www.wateradaptationlac.com/index.php?lang=en&Itemid=109. The research will look both at factors in nature – different climate scenarios, for example – and the human and political factors that allow a CBDWO to perform well in meeting households’ needs for safe and reliable drinking water “We are asking these questions at a very local level,” added Dr. Madrigal. To make sure that local experiences are shared throughout the region, the research results will be shared with policy makers to become part of national strategies to adapt to climate change. “We also will share findings of best practices and recommendations for improvement with the CBDWOs themselves,” concluded Dr. Alpízar.